The all new CCM Tacks 5092 player pants are a solid mid-level pant that offers a good level of protection and an anatomical fit profile. As seen in the elite models of the Tacks line, you can add a 1-inch extension to the length using the hidden length adjustment zipper. These pants are constructed with Pro 400D nylon with side panel reinforcement which reduces the weight of the pant while maintaining durability. The Tacks 5092 pants offer molded PE foam in both the kidney and thigh areas to maximize protection. The hip area has a JDP cap which helps direct impact away from the hip joint. 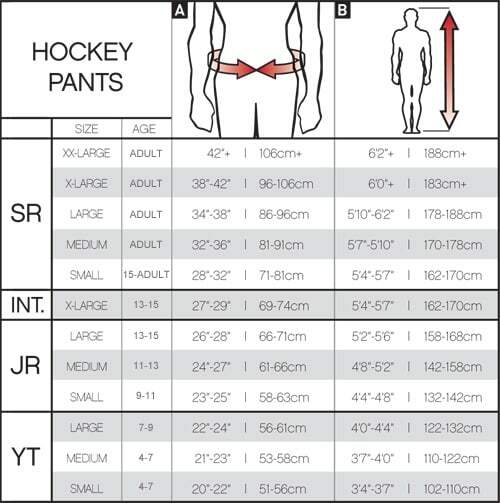 If you're looking for a good mid-level pant that is protective and anatomically fitting, look no further, the CCM Tacks 5092 pants are the perfect pant for you! Waist: External belt with length-adjusting zipper Type of waistband design.